Canary Wharf is one of those weirdly wonderful places that tourists tend not to go to. I remember working in the Wharf a few years ago but it was only when I visited recently that I realised how much I missed it! However, I also realised how lost you could get there. Google Maps was going a little crazy too! 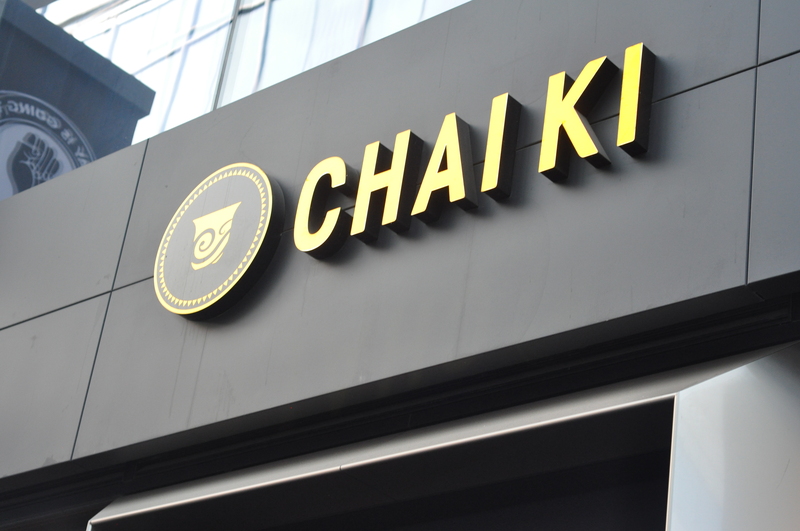 It was a foodie evening with My Big Fat Halal Blog and we decided to check out Chai Ki. I had been there before in my pre-blogging days which doesn’t even count as it was all a haze so was looking forward to going here again. Once we eventually got the restaurant, it was dimly lit (not the best for photos but all hail the SLR!). We were shown to our table and quickly got down to business! Chai Ki serves a dinner menu and a street food menu AKA Toddy Shap Bar. First up was the Chicken Tikka Naan, which was delicious. 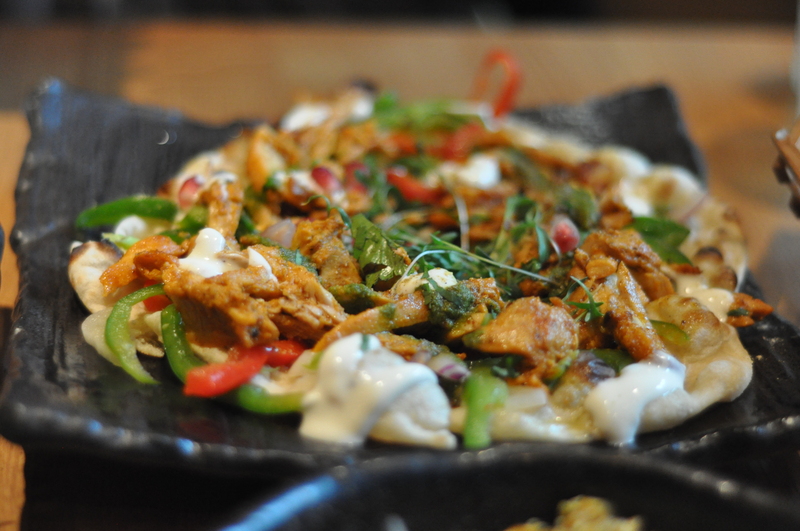 The naan was so soft and fluffy, the tikka chicken succulent and flavoursome and the bright peppers, coriander chutney and yoghurt made for a brilliant first impression. I am a huge fan of Bhel Puri so understandably my expectations are high. This dish was nice although I felt it wasn’t the best I have tasted, it was a little dry and could have done with some of that yoghurt and chutney from the Tikka Naan! 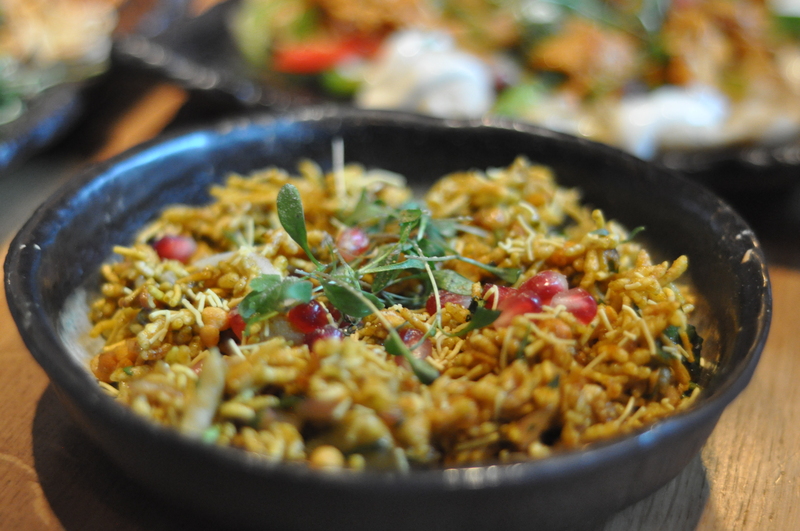 The search for a great bhel in London continues! And the award for the night goes to this stellar dish! Not only did all the colours make it appeasing to the eye but also the chicken was beautifully prepared – succulent on the inside yet crispy on the inside. Although beware, this is a spicy dish and isn’t for the lighthearted, if you can bear the heat this is definitely a winner! My favourite dish of the night by far. I’m pretty sure it was the excitement of being told that some of the lamb dishes were also halal that made us order this dish. It was interesting but definitely not my favourite..not sure what we were expecting but this was an actual porridge. 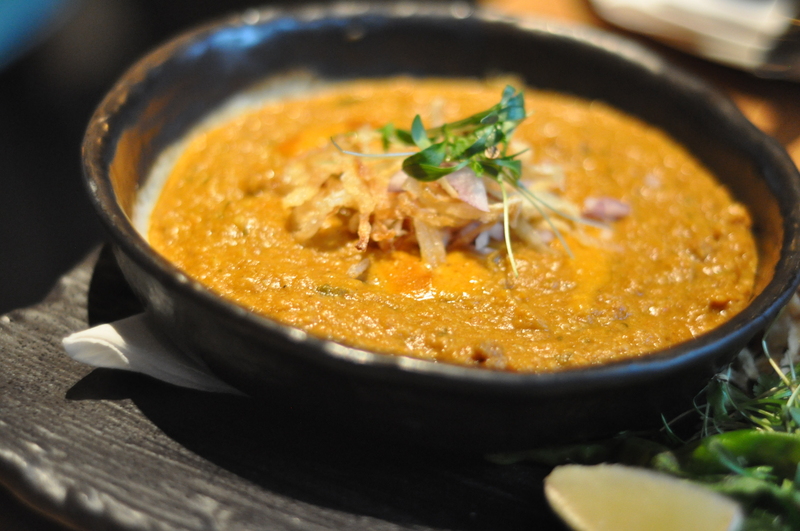 (much like a haleem, if you’re from the Asian subcontinent). Stuffed to the brim at this point, we both nodded simultaneously when offered the dessert menu.. because no meal is complete without dessert! (Life motto) And yes we both got one each.. life is too short to share desserts! And it was so worth it! 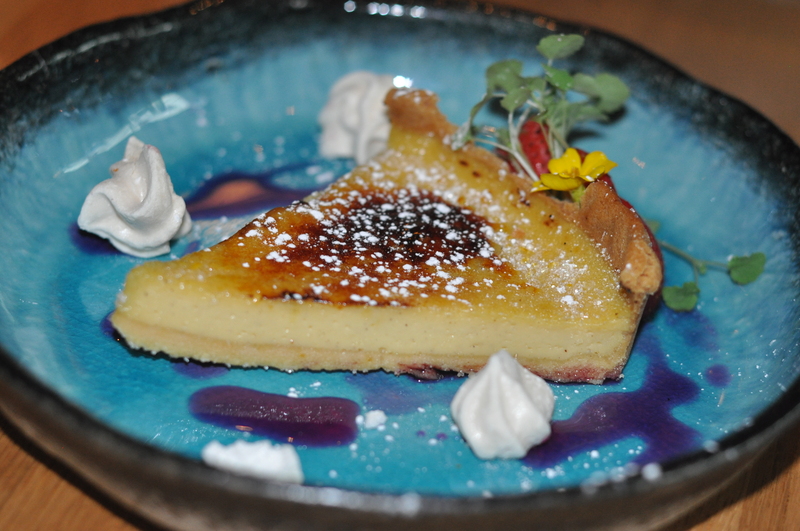 The custard tart was so light, made of a base of shortcake, custard (obvs) and caramelised sugar on top served with meringue, strawberries and a light rofue infused jus. Yum! This dessert!! (Insert heart emoji) You know a dessert is good when you realise halfway through that you’re meant to be sharing. (Sorry A!) Definitely the highlight of the evening for me, this cheesecake was light yet so creamy. 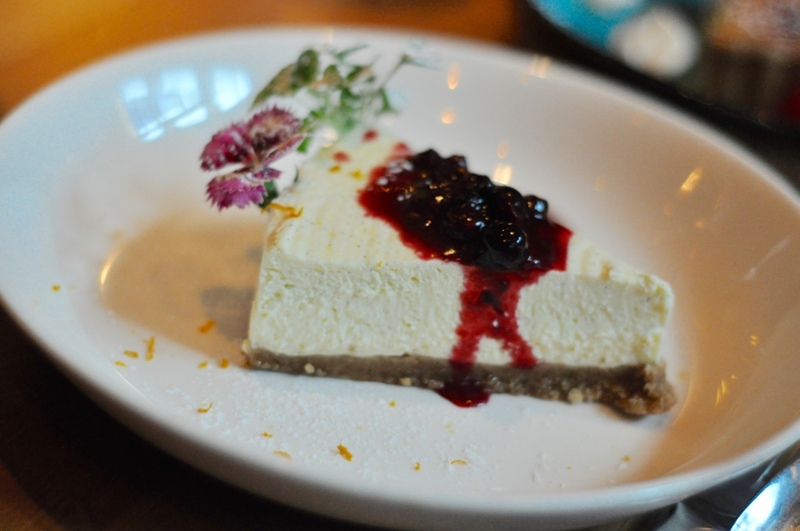 The fresh berries added to the al-fresco feel of the Malai Cheesecake. Double thumbs up from me! Overall, I really liked the food at Chai Ki. 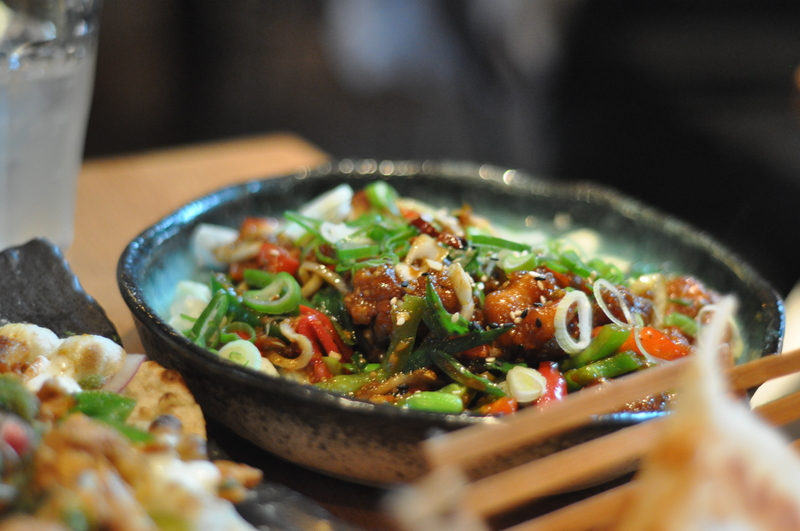 In terms of value for money, it was great – we paid around £28pp for some good amount of food. Not all dishes were amazing but if you are in the area and need some good food, this. is the place to go. Not sure I would travel to the other side of LOndon specifically for it though. Having said that, I am looking forward to trying out their Breakfast and Dinner menus there too. Overall, giving Chai Ki a total TLH score of 7 out of 10.